Martin Pryor picks out the main points from an unexpectedly interesting Budget. It was delivered five months before the Brexit deadline and the start of the 2019/20 tax year, and threatened to be an interim affair, as decisions announced in October risk appearing seriously out of date by the time April arrives. In the event, Mr Hammond chose to be more radical than expected, declaring that, “austerity is coming to an end, but discipline will remain”. * On 6 April 2019, the personal allowance will rise by £650 to £12,500, reaching the target originally set for 2020/21 in the 2017 Conservative manifesto. * The basic rate band will increase by £3,000 to £37,500, making the higher rate threshold (personal allowance + basic rate band) £50,000. This also matches the 2020/21 target. * Both the personal allowance and higher rate threshold will be frozen for 2020/21. They will rise in line with CPI inflation from 2021/22 onwards. * Despite rumours, there were no changes to inheritance tax (IHT), which means the residence nil rate band rises to £150,000 on 6 April 2018. However, an overhaul of IHT could still emerge when Mr Hammond presents his Spring Statement. * The pension lifetime allowance will increase to £1,055,000 for 2019/20, in line with CPI annual inflation to September 2018. There were no other adjustments to pension allowances. * The capital gains tax annual exempt amount will increase to £12,000, in line with inflation, for 2019/20. 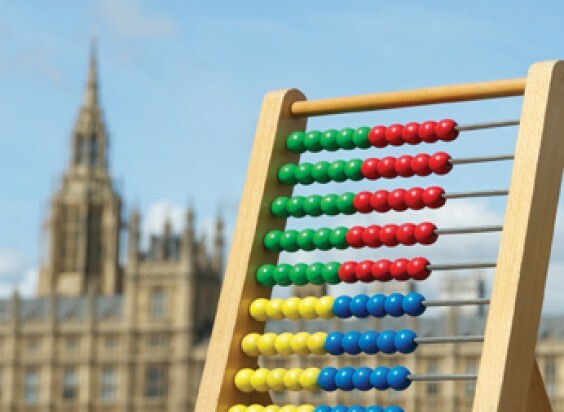 * There were minor technical changes to EIS funds, after the many changes to venture capital trusts and enterprise investment schemes in the 2017 Budget. * The adult ISA contribution limit for 2019/20 was left unchanged at £20,000, although the limit for Junior ISAs did increase £108 to £4,368. Many tax rates and thresholds were frozen, which offers Chancellors a subtle way of raising additional revenue. This will be necessary, as an examination of the spending commitments given in the Budget reveals that more than £27.6bn of a total £30.6bn will be spent on the NHS by 2023/24. * The upper earnings/profits limit for full rate National Insurance contributions (NICs) rises to £50,000, effectively clawing back nearly 40% of your income tax saving if you are an employee with earnings above £50,000. * The income ceiling for pension automatic enrolment contributions could increase to £50,000, £3,650 above the current limit. Such a rise would coincide with the increase in minimum total contributions from 5% to 8% of ‘band earnings’ – £6,032–£46,350 in 2018/19. * The £50,000 income threshold for the high income child benefit charge is unchanged for 2019/20, meaning it will apply once higher rate tax starts to be paid. Tax laws can change. The Financial Conduct Authority does not regulate tax advice.